The post Iowa Caucuses Launch Inaugural Polling Apps with Xamarin appeared first on Xamarin Blog. 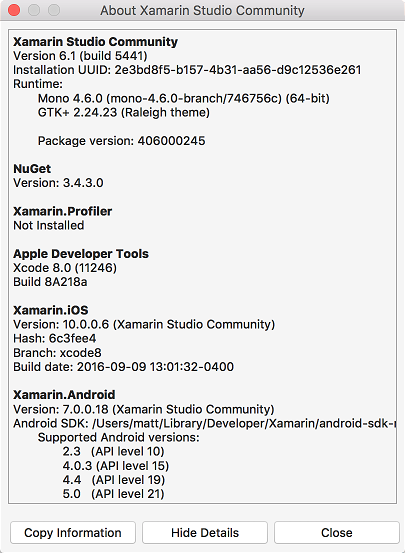 The post Xamarin at Microsoft Ignite appeared first on Xamarin Blog. The post Enhanced Notifications in Android N with Direct Reply appeared first on Xamarin Blog. The post New iOS 10 Privacy Permission Settings appeared first on Xamarin Blog. 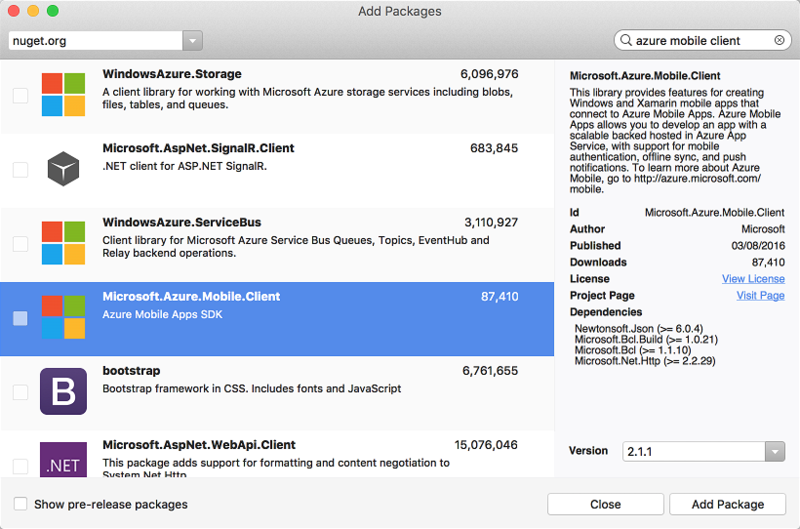 available when you open the project otherwise Xamarin Studio will default to using a packages.config file. references added to it when using a project.json and the reference information is currently not available from the project system. source that will be created by default if your global NuGet.Config file is missing. 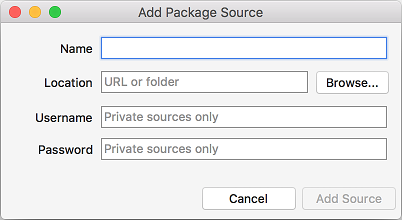 package source so it may not show all the versions immediately. by clicking the red Stop button in the Status Bar or in the Package Console. a directory on your local machine. There is now a browse button which will allow you to browse to a directory and add it rather than having to type the full path into the text box. removed. This is a requirement of NuGet since it requires the original NuGet package to work out what has been installed so it can determine what needs to be uninstalled. NuGet can do more than just update the project file with references and MSBuild .targets files, it may add new files to the project or it may run app.config or web.config transforms. even though the NuGet packages may be available in the local NuGet cache on your machine. offline. Note that this problem also affects Visual Studio 2015. The post Xamarin Around the World with Xamarin Dev Days appeared first on Xamarin Blog.